Very special one-off P40 Seven Day intensive starting: August 21, 2017. Ground yourself and get back on top of your finances this week, Aries. Life can be extremely clunky and messy because Mercury Retrograde is back with a vengeance. Add in back to back eclipses (of which we are currently right in the middle and you can see why it’s extremely stressful). Use this Monday’s Last Quarter Moon to get back to basics with your body and your top priorities. Root yourself now in preparation for the insanity to come. You’ll totally need this timeout to recalibrate and gear up for your next battle. Relationships, especially with family can get testy this week compliments of the Venus-Pluto opposition. Preserve your connections by refusing to allow conflict to escalate. It’s just not worth it. Unless of course you’re ready to call it quits for good. Power struggles never end well. Potential blow-outs seem to inevitable but you can always choose peace. There is a Last Quarter Moon in your very own stars this week, Taurus. This delivers a welcome grounding after last week’s eclipse chaos. Plus, you’re so ready to rest and reset. Take this time off in between eclipses as a much needed intermission to get back to your preferred pace of slow and sensual. You may still be processing some very heavy losses this week. Change is so not your jam, but you’re actually starting to appreciate the growth and wisdom now that the dust is settling. You’re tapping into your core strength and that is priceless. Tuesday’s intense planetary war between Venus and Pluto triggers a potent blend of relationship drama, but nothing that you can’t handle. As long as you’re clear on what you want and what you value most, you’re golden. This week’s Last Quarter Moon demands you slow your roll, Gemini. It’s the thing you avoid yet need most of all. If ever there was a time for self-care and rejuvenation, it’s this week. Catch this rare and essential time to get back into your body and out of your head in prep for next week’s mega-eclipse. Get a head start to preserve your sanity, darling. Go ahead and put some extra space in your schedule just for good measure. You will be oh so glad you did. Tuesday brings an intense planetary tug-of-war between Venus and Pluto. Power struggles might seem inevitable but you have choices. Better to choose the high road always. Avoid emotional spending binges under the current conditions as well. Don’t forget you’re still under the influence of Mercury Retrograde. The emotional intensity continues this week, Cancer. The inner push and pull reaches a fever pitch by midweek but luckily you are feeling way more grounded than last week. Give yourself as much downtime and self -care as you need. You can’t overdo it now. The Last Quarter Moon is reminding you to get back into your body and to slow down. This is also the perfect eclipse prep because next week brings the mongo New Moon Solar Eclipse in your money zone. Watch your spending habits now and get a firm grip on where your money is leaking. The Mercury Retrograde could also be throwing some scheduling curve balls your way, so be sure to double check all plans. This is the calm before the storm week, Leo. You sense that things are eerily quiet and mellow but you’re not being lulled into false security. The New Moon Solar Eclipse is only one week away. This is the downtime you have been so desperately wanting in order to catch your breath and prep for another wave of very intense changes. The story that started at the end of July is coming back for part two/ next level. Luckily, this week’s Last Quarter Moon is the perfect opportunity to get your bearings and you're body back. Tuesday brings a rather tenuous power struggle that you didn’t see coming. Venus and Pluto are going head to head to create tensions around work and scheduling. The ongoing Mercury Retrograde is not helping matters much. When in doubt, check in on potential misunderstandings. Swallow your pride and ask where you stand. It’s the week to get back into your body, Virgo. The last few weeks have kept you spinning in pre-Mercury Retrograde in Virgo confusion and chaos. Now it’s time to slow down and recommit to what supports and nurtures you. Take advantage of this handy little intermission between eclipses to get back on some semblance of solid ground. Don’t get swept up in worry and overthinking. You need a break from your mind. Tuesday brings a rather tumultuous tiff between Venus and Pluto which could ratchet up the tensions with anyone you’re currently or previously had power struggles with. Choose love and compassion over force. Balance is your end-all-be-all this week, Libra. You have been dying for some sense of peace and equilibrium to return to this world of chaos and madness. You’re so not alone. The combo of eclipses plus the ongoing Mercury Retrograde has everyone on edge. In fact, you’ve probably been playing the peacemaker as per usual. This week brings extra tension to family and career dynamics compliments of the Venus-Pluto opposition. You hate being forced to choose sides so don’t. Trust that the miscommunication can be resolved and will be resolved post-eclipses and you’ll want to keep both sides of your loyalty in tact. Seek refuge in your ride or die connections this week, Scorpio. This Monday’s Last Quarter Moon in your opposite and grounding sign of Taurus brings you back in touch with what and who you love most of all. When you’re in the right company nothing can touch you. You need the comfort and grounding to prepare for next week’s colossal eclipse. Plus, let’s not forget that Mercury Retrograde is in full swing and causing some bumps and revisions with your long-term goals and current collaborations. Finally this week’s Venus-Pluto face-off could stir up trouble and power plays between you and some of your beloveds. Don’t go there. . This week is weirdly and unexpectedly grounding and teeming with opportunities for self-care (read: massages galore), Sagittarius. Then again, last week’s eclipse drama makes anything feel like ultimate Zen in comparison. Grab this break in the action and temporary lull to pamper yourself and catch up on deadlines. Nip those procrastination tendencies in the bud now. The more you get ahead, the better you will feel next week when the New Moon Solar Eclipse takes you on another wild ride. Plus, Venus and Pluto go to battle this Tuesday so avoid power struggles and ultimatums. Cling to your newfound mellow with everything you’ve got! 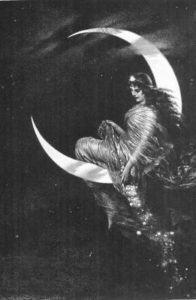 This Monday’s Last Quarter Moon brings some much needed love and pleasure in the midst of eclipse season. You can find your center once again by putting your body and your breath first. There is no stress worth the stress. Isn’t that the truth? Let it all go because next week brings yet another wave of changes and you’ll need all the strength you can muster. Plus, this week’s Venus-Pluto power battle puts everyone into super-defensive mode. It’s better to agree to disagree. Especially, considering that Mercury Retrograde is just building up momentum in the realm of misunderstandings and mayhem. This is the week to root down, Aquarius. If this literally means spending more time at home lying low, go for it. You can’t be all social all of the time, especially during eclipse season. Plus, with all of the major plans you’ve set in motion, you need every ounce of energy you’ve got to birth the new. Not to mention, you’re still processing some major personal and emotional shifts from the last eclipse in your stars just last week. Add in the current Mercury Retrograde and it’s a wonder you leave your bed (maybe you actually don’t or won’t this week). Give yourself plenty of downtime and pauses in between events to transition without stress. You need to keep your life and schedule as light as possible now. Slow and low that is your tempo this week, Pisces. Your soul is calling (read: screaming) at you now. Technology could be the bane of your existence at the moment so don’t feel guilty about powering off. It’s the last addiction you need or want to add to the mix. What you need now is time to process all of the recent eclipse insanity while prepping for yet another round next week. Plus, the ongoing Mercury Retrograde in your opposite stars is causing a lot of extra thoughtfulness and revision in the realm of relationship communication. This week’s First Quarter Moon reminds you to pause and breathe a little more deeply on the hour if not more. and rushing around in the world of technology madness is the opposite of what you want or need. This Monday’s Last Quarter Moon brings a welcome pause in the eclipse storminess. It’s a temporary break, but you can milk it for all it’s got by doubling up on your self-care rituals and lingering in leisurely activities for as long as possible. Avoid relationship drama midweek or it will totally impinge upon your much-needed mellow. It’s summertime after all. It’s about time the living got a little easier.